There is great variety of time tracking apps on the market, but most of them are focused on monitoring personal activities or letting businesses keep track of their employee time. However, there is one more market in need of disruption by the time-tracking applications. This market is inhabited by students. Study Time — SYLO stands for Sort Your Life Out. The app is created with a wish to help students manage their time while learning. 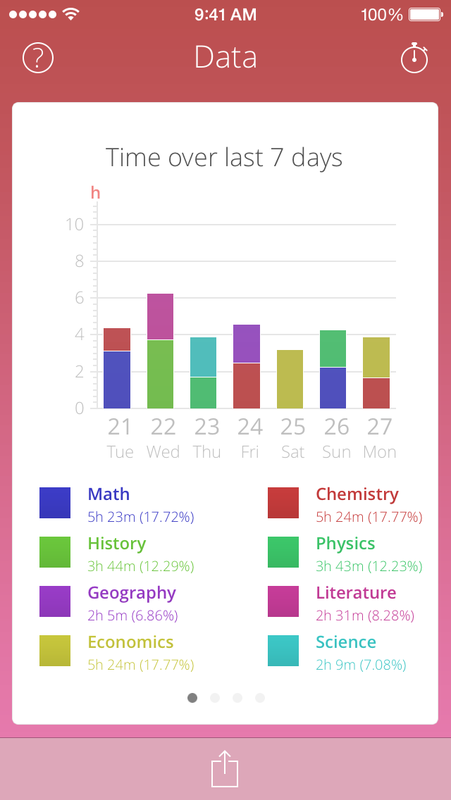 Study Time is more than just a time tracking app. It’s a catalogue of all of the lessons that you’ve done and a great helper for students. Check out Study Time video here. Remember how hard this can be to keep up with the educational program? All those homeworks, projects, revisions, exams, additional studies — everything needs time and attention. Study Time is a tool that lets students effectively organize their daily study efforts, follow planned revisions or get prepared for exams. 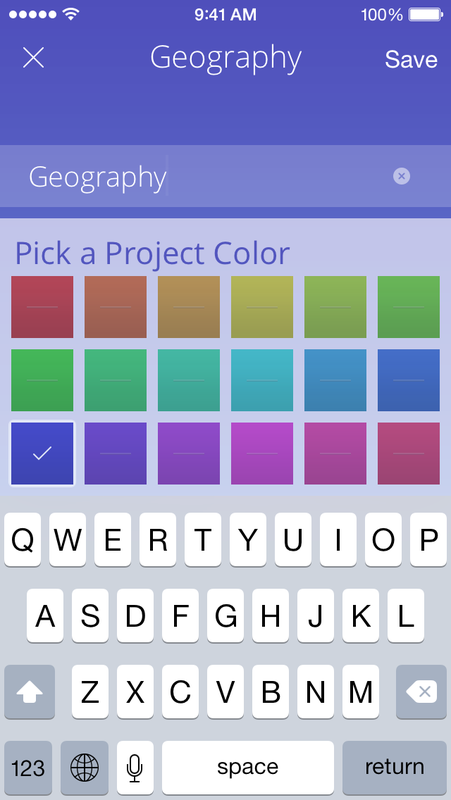 All you need to do to start tracking time in the Study Time app is to create a project, add some color to it and run the timer. 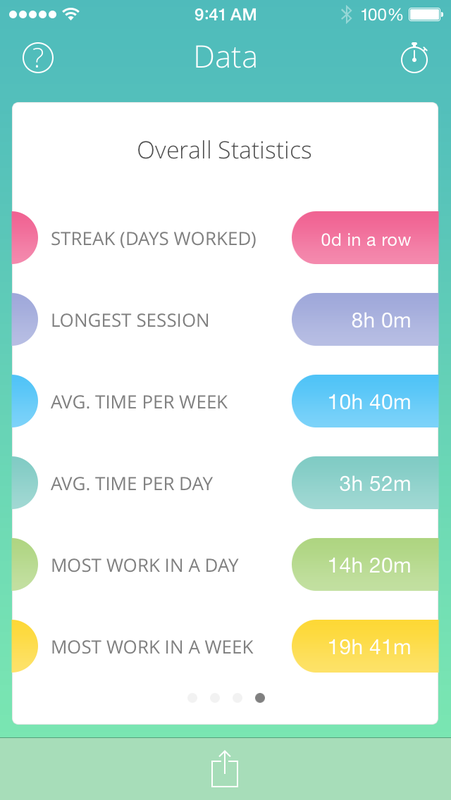 While you are in the study mode, the app is counting the time. Even if you’ve forgotten to run the clock, you can add the time manually. When you are done with your learning activity, the app will log the time and keep it in the graphs for review. The data displayed in the graphs and the overall stats will give you some insight into your learning and help to plan your studying activities accordingly. 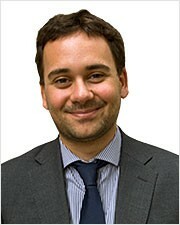 Our team helped Matthew Tandy, an individual entrepreneur behind Study Time to create the early app version for iPhone. The team included our iOS developers Dmitry Zavgorodniy and Eugene Goloboyar, project manager Aleksandr Gavrosh and QA specialist Dmitry Kulikov. Study Time — SYLO has been accepted by the App Store and will soon be launched on the market. Update: The app has been launched. You can download it here. I had an interview with Matt and here is what we talked about. Me: What prompted you to create Study Time — SYLO? Matt: I have two younger half brothers. One of them has just gone through his GCSEs, [General Certificate of Secondary Education] — a core examination period for 16 year old kids in the UK. He was struggling with keeping track of how much work he was doing in one subject or another, or how much work he was doing overall. It was a little bit disorganized and I recommended that he try a time tracking application that was used by freelancers. As he found it really useful, I thought it would be great if there were something like this aimed just at kids, without any invoicing functions, but with the same time tracking application. Me: How will the user benefit from using the time tracker? Matt: If you use Study Time diligently, you can often find some hard truths about how you do your work. Because it’s quite easy to fool yourself sometimes, particularly if there are some subjects that you don’t enjoy or others that you enjoy a lot more. You think that you are doing more work than you actually are. I like to track my own time, just in my day-to-day activities. Before working as a professional poker player I always tracked my activities in three or four core areas. It’s very good to have an overview of how you are applying yourself. Me: What is the target market for Study Time — SYLO? Matt: There are loads of time tracking applications out there, but they are all aimed at freelancers or adults looking to bill their time in some way. There is no time tracking application aimed at students at all. Study Time is the only one up there at the moment. It can be used by 14 — 18 year old kids that are at the latest stages of education and beginning to go to college and also by university students as well. Me: What is your vision for the early version of Study Time — SYLO? Matt: What we have now is an MVP. It’s a really stripped version of the product that I originally had in mind. It was just about getting something out there early on, get the users and their feedback. I want to see if the users like Study Time and if they do, what they like about it and then act accordingly. I’ve got a lot of the other ideas that I would like to develop if there is enough positive response to the early version. Me: What features are you going to add next? Matt: One idea is to add a gamification element. So instead of just looking at the four hours you spent studying on one day or just thirty minutes the other day, it’s getting people to work every day. I’d like to turn it to a bit of a game where you use a prompt to do some work daily. This kind of motivation is the one for me as I always stop if I miss a day. If I keep it going day, after day, after day, then it consecutively gets easier. If the app is a success, then developing for Android would be an obvious next step. Another would be to have cloud-based data storage for cross-device usage. Me: How are you planning to monetize the app? Matt: First month or so it’s just a completely free product. The first stage is going to be about gathering a significant number of users in order to get the accurate feedback. But after a month we are willing to monetize it. One idea is to earn the revenue from advertising and the second one is system upgrades — in-app purchases. Now you can only track 8 projects at the moment. We’ll be looking to have an upgrade, so you can put additional projects onto that. Me: What was the most difficult thing in the app development process? Matt: Yalantis worked really well at supporting the whole developmental process, particularly to someone who is relatively new to it. I think probably the biggest difficulty was from the start of the project when you have the whole idea in your mind and it’s just a bit too big. You have to scale it and cut features away to get to just a core concept. It is a little bit difficult to do psychologically as you get quite attached to this or that feature. Making it least — I guess that was quite tough. Me: Are you happy with the delivered result? Matt: Yes, I am satisfied at this stage with how it looks, the design, how it all operates. There is always a moment when you look back at one of some extra features that you really would’ve liked to have in the app as well. But at the moment I am happy. I’ll be more satisfied once it’s launched and once the people are using it. Me: Matt, thank you for this conversation. Our team wishes a lot success to you and your great product!